Growing spinach is one of the best things about having a vegetable garden. Having fresh, vibrant spinach right out the back door is more than convenient, it is a dynamo of health. Spinach has a delicious, mild flavor that goes with almost anything savory in the kitchen, whether as a side dish, or mixed in with soups, stews, casseroles, pastas, and egg or meat dishes. And growing spinach is easy, as long as you don’t try to grow it during the heat of summer. 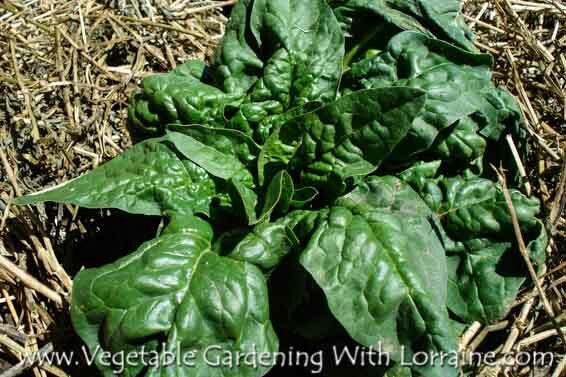 About Bolting Growing spinach is a spring and fall endeavor in many areas because spinach is a “cool season” crop. Once spinach experiences a really hot day, it gets triggered to go to seed, or “bolt”. If you plan well, however, and stagger your plantings, you can still have several months of spinach harvest. When spinach bolts it gets tall and makes smaller and smaller leaves, sending up a flower stalk and putting all its energy into making seeds before it dies. What a spinach plant considers a “hot day” depends on the variety, but most will start to bolt at around 80 degrees F.
Spring Planting Plant your first crop of spinach very early in the spring, as soon as the soil can be worked. Sow a few seeds every couple of weeks throughout the spring for a sustained harvest, until it gets hot and they start bolting. I like to prepare one of my garden beds in the fall, double-digging it and incorporating compost, so that as soon as it thaws in the spring I can plant spinach and peas. 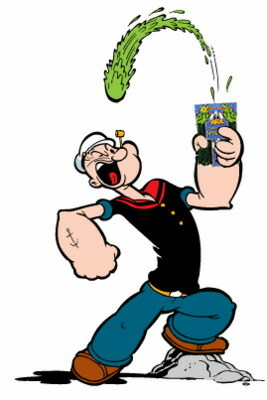 Spinach seeds like to be planted 1/2 inch deep, and with about 6-8 inches between plants. Spinach seeds also have a lower-than-average germination rate, so make sure you overplant, and then thin if necessary. Germination rates are even worse if it’s above 75 degrees. Plant twice as many seeds as you want plants. Fall Planting Start growing spinach again after daytime highs stay below about 80 degrees F. Sow seeds as you did in the spring, planting a few seeds every 2 or 3 weeks. You can cover the soil with floating row cover such as Reemay to keep the soil slightly cooler. This is also a good way to prevent leaf miner flies from laying eggs, which hatch into larva that burrow through the subsurface layers of spinach leaves, damaging them and leaving little burrow tracks all throughout the leaf. Planting in late summer is different than early spring because the soil is warm and most likely much drier. This means you will need to water deeply at least once a day (or even twice) a day with late summer plantings, to ensure that the seeds do not dry out during germination (or else they will die). If you plan well and sow seeds on a regular basis, you will have a nice spinach harvest all through the fall and into winter, until stopped by a hard freeze. Most spinach varieties are frost hardy down to about 15 degrees F., and if you grow them in a tunnel tent covered with plastic you can extend your harvest into early winter. Nutrition and Soil All the nutrition that spinach is famous for is being pulled from the soil, which means that spinach needs very fertile, rich soil in order to provide us with all that nutrition. Before growing spinach on any piece of ground (or in a raised bed), make sure that there is plenty of good quality compost in the soil. Spinach needs plenty of organic matter and plenty of water, though not to the point of perennial sogginess. In between plantings you can renew the soil a bit with more compost, or if there was any yellowing in the previous crop, a little higher-nitrogen organic fertilizer or well-rotted manure. And spinach doesn't like acid soil, preferring a pH of neutral to slightly alkaline. Enough compost will usually buffer things, but if you have very acid soil and intend growing spinach, add a little lime to alkalize your soil. Cut-and-Come-Again Spinach can be harvested a few leaves at a time, or by taking most of the leaves all at once and letting the plant resprout from the base. In England, the latter method of harvesting is called “cut-and-come-again”, and many CSA farms use this method as they harvest down a row for market day. By the time the next week's market day has arrived, so have the new baby spinach leaves. Baby spinach leaves taste better and are more tender than full-grown leaves – and older leaves will begin to turn bitter shortly after reaching their full size. Studies have also shown that baby spinach leaves are more nutritious than older ones. Outside-In I like to harvest my spinach daily from the outside-in, by taking the older (but still baby) leaves from the outside of the plant, and then a few days later the next leaves that have then grown to take their place. Since you’re now growing spinach in your own vegetable garden, you don’t have to harvest more than you need for the next meal, as it keeps better outside with its roots in the ground than it does in the fridge. An exception would be if it's getting close to the end of the season and the spinach is threatening to bolt.